Mark Sisson is a 57-year-old expert on primal and paleo diets. He’s most well known for his blog, called Mark’s Daily Apple. A former elite endurance racer, Mark is one of the premiere voices in the world of paleo eating and primal nutrition. The oldest of four children, Mark was born and raised in Maine. A natural runner, he ran throughout high school and college and went on to pursue a professional running career. His effort culminated in a top five finish in the 1980 US National Marathon Championships and a qualifying spot for the 1980 US Olympic Trials. After retiring from running in 1998, Mark went on to write several books and to be involved in the fitness industry to help prevent others from incurring the injuries he suffered throughout his running career. He’s been married to his wife Carrie for over nineteen years and has two kids, Devyn and Kyle. He started blogging at Mark’s Daily Apple in 2006. Mark has written several books. He’s most known for the titles listed below. Mark Sisson leads Primal Blueprint, a primal store that offers everything from cookbooks to aprons. Here are some of the Primal Blueprint products we recommend. 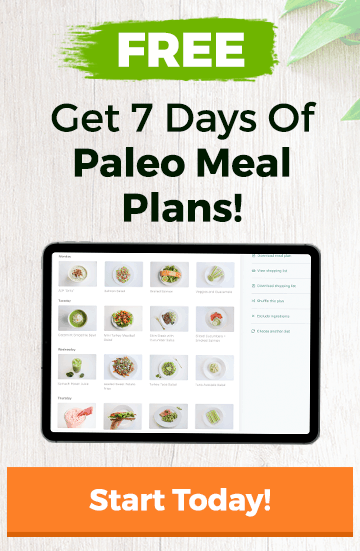 Of course, Ultimate Paleo Guide also offer its own meal planning service, which you can find out more about here. Primal Blueprint even offers protein powder! Primal Blueprint also offers a number of services, including a meal planning service and personlized paleo coaching. You can see all of Mark Sisson’s primal products by visiting the Primal Blueprint store.